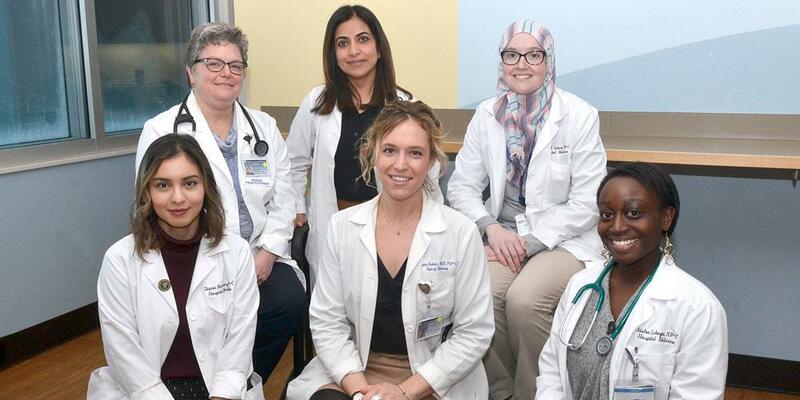 The team of advanced practice providers, namely physician assistants and nurse practitioners, at Upstate University Hospital at Downtown Campus are credentialed medical providers with advanced didactic and clinical education, knowledge and scope of practice. They work to support the Hospitalist Department at the Downtown Campus through advanced assessment, diagnosis, and evidence-based management of acute and chronic medical conditions. Our motivated team of advanced practice providers works closely with hospitalist physicians to provide comprehensive patient-centered care. Evaluation of Post Traumatic Stress Disorder in Army National Guard Soldiers Returning From Iraq. Co-investigator in collaboration with Syracuse VA. Study in progress. Last Modified: February 04, 2019. Contact University Webmaster with questions about the content of this page.